Mechanical growth factor or MGF is a peptide, which is very popular among athletes, what is not surprising. 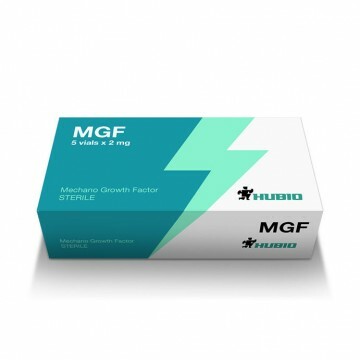 MGF stimulates muscle growth, improves muscle definition, helps to grow your strength indicators and it is not a complete list of all the effects of MGF, more details of which we will describe below. after challenging physical exertion recovery is much faster. eliminates acne and other skin defects, rejuvenating and improving skin condition. 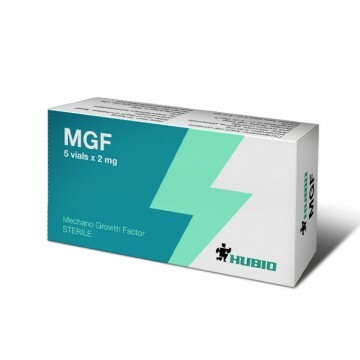 MGF cycle is 5-6 weeks. The recommended dose is 100-200 mg per day. It's enough to make 2-3 injections subcutaneously in the abdominal area per week. Increasing the dose is not appropriate, enhance the action will not bring efficiency, but side effects may occur. On training days the greatest efficiency is achieved if the drug is administered immediately after training. Some athletes administer MGF directly into the target muscle, but experience has shown that the effect of that was not increased. The release form - powder for solution for injection. Keep a ready solution refrigerated up to thirty days. MGF is effective peptide for different groups of athletes. The effect of fat loss, achieving muscle definition and muscle growth no doubt attracted by bodybuilders, powerlifters especially appreciated this action as increased athletic performance and endurance.